More often than not, the pan is empty and the water is dirty. Internet Marketing is like the gold rush…creating more fools than millionaires. Then a man named Sam Brannan, a merchant from San Francisco, saw his opportunity to get rich! And he did it without ever mining for gold! He had heard about the news of gold on the river, the news most people dismissed as being just a rumor. Sam also knew about the law of “supply and demand” so he ran through the streets of San Francisco shouting about the discovery of gold. Brannan showed everyone a bottle filled with gold dust so they believed him. Mr. Brannan had a brilliant plan. Before he spread the news about the discovery of gold he had bought up all of the supplies the miners would need: pick axes, shovels, and pans. He sold miners pans for $15 each when he had bought them for only 20 cents before the Gold Fever hit. He made $36,000 in just two months and that was worth even more in 1848! He eventually became the richest man in California. Today’s gold rush is the Internet. Shouting “there’s gold” garners lots of attention. Especially given the convergence of a bad economy and global connectivity. It’s a recipe sure to drive hoards of clamoring people who long to be rich into the waiting arms of Internet marketers making wild claims. Too much money is going into the pockets of the folks selling the picks, shovels and pans. They know the “typical” customer won’t make enough money to offset the purchase of the picks, shovels and pans. Buyer, beware! 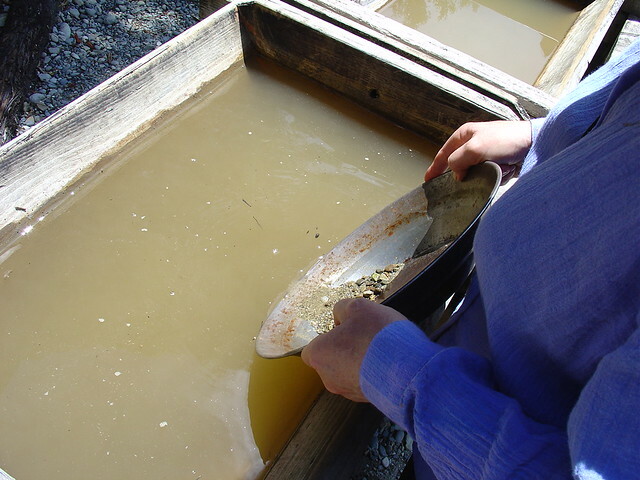 There’s one ingredient you need in order to succeed when you’re mining for gold. Listen up and I’ll tell you what it is. P.S. Do me a favor. Help me spread the word about the podcast and the video shows! If you enjoy my work here, spread the word. Thanks! Previous post: What’s Your Lifetime Value & How Can You Increase It?